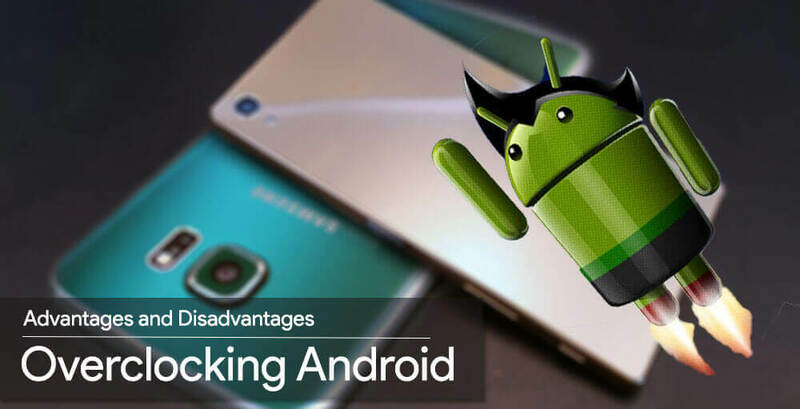 Android is the best platform for the people who regularly wish to enhance their devices to a greater extent as it supports you in doing that, provided proper steps are followed. 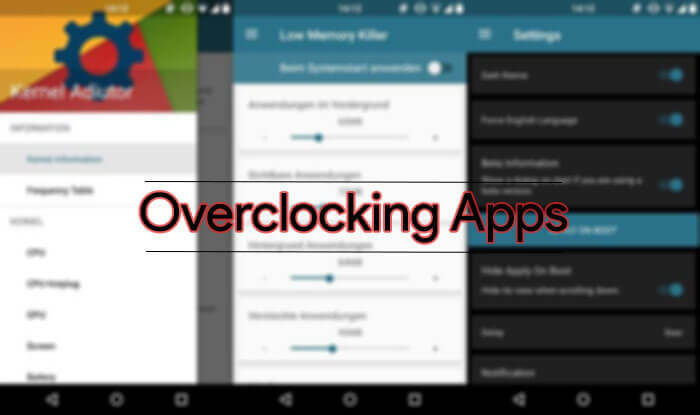 One of the most useful modifications for an Android device is to make it a bit faster, and this process is known as overclocking. In this process, the CPU of the device is forced to function at a more rapid rate (approximately 30 percent) than its normal functioning. Overclocking is configuration of computer hardware components to operate faster than certified by the original manufacturer, with “faster” specified as clock frequency in megahertz (MHz) or gigahertz (GHz). Commonly operating voltage is also increased to maintain a component’s operational stability at accelerated speeds. Along with overclocking’s positive effect on the device, there are some adverse effects associated too. On raising the clock speed above its average speed, the heat generation and power consumption increases which mean your device will heat up more than usual but less than its breaking point and the battery life will be reduced considerably. Your device needs to be rooted, and a custom recovery should be installed on it. Rooted phones are not covered under warranty from the manufacturer so, if you are not comfortable in rooting your device do not execute the following steps. If you are comfortable with rooting your device and installing a custom recovery then, all you need to do at first is to be patient because a sudden jump in clock speed can cause irreparable damage to your device. Boost up the clock speed slowly along with regular inspection of the device’s stability. Set your device at the highest clock speed at which it was stable. 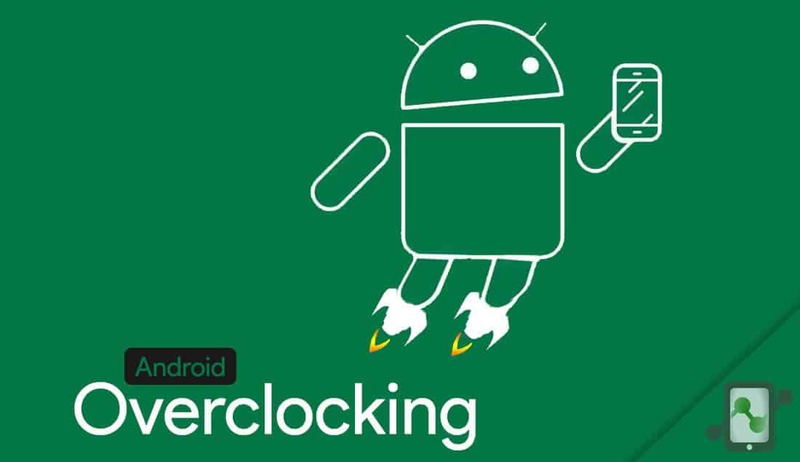 After increasing the clock speed to a stable point, what you need to fine-tune in your device’s settings is the kernel that supports overclocking. Overclocking is an essential element for people who modify their phone. Hence, there is a vast collection of kernels to choose from for a particular device model. To find the correct kernel, you need to find your device’s model number and Android version being used at first. The model number and Android version are to be found in Settings>About phone. Whether it is compatible with your device. Whether it functions on your current Android version and its rating. Higher the rating, greater will be the possibility of getting help if you are stuck somewhere with it. Some kernels function fabulously with dedicated software as they carve the best out of those kernels for your device. This involves a simple overclocking slider, CPU governor settings, undervolted options, etc. If the kernel you selected comes with an app, don’t neglect it use it. If not then search for common overclocking or CPU manager with a high rating and positive response. Most of the custom ROMS readily support overclocking hence, if you are using a custom ROM check if you need to change the kernel so as to suit your ROM. Step 1. Ensure a proper backup of your data from the device. Overclocking can be done through custom recovery or some apps and PC based solutions. Step 2. After you have selected a proper kernel, download it along with its software if any in your device the kernel can also be downloaded on your PC and then copied to your device as a zip file to the root directory if needed. Doing it with the help of recovery is preferred. Step 3. Now you need to enter the fast boot mode but make sure you have turned your phone off, to enter the fast boot mode your can try out by pressing the power button and the volume button simultaneously for a few seconds, but some manufacturers have different combinations so you can check them out on Google. Step 4. On the fastboot screen, you can use the volume up and down buttons to navigate between options and the power button to select the option. Step 5. Now you will enter custom recovery mode that is TWRP cause well we have added that in this tutorial. Step 6. Now tap on the install button or install zip if you are in CWN recovery and also navigate to the location where you saved the kernel zip file. Step 7. Flash the zip file and wait for a while until you see a success message. Step 8. Wipe the cache, once you have flashed the kernel file successfully. Step 10. Now you can reboot the system. CPU settings can now be altered through the CPU manager or kernel app. Also, if a compatible software for your kernel is still not installed, then you need to find an app on play store. Kernel Auditor (free app) is the recommended app for the purpose. This app requires root permissions and works along with Busybox which can also be found on Play Store. Launch the CPU manager you had installed and look for control CPU speed and choose a max CPU speed. As explained above, do not raise the clock speed suddenly. Start at around 10 percent higher than your current CPU speed and increase it, while keeping an eye on the behaviour of your device. Be patient enough to observe the changes in the speed of your CPU. Through these processes, you can not only increase your clock speed but also reduce the clock speed to restrain the unnecessary burden on your CPU if you use your device just for basic purposes such as reading messages, etc.